Hookit is looking for an enthusiastic and outgoing Support Specialist to assist with a variety of projects critical to the ongoing growth of the Moto portion of the Hookit platform. 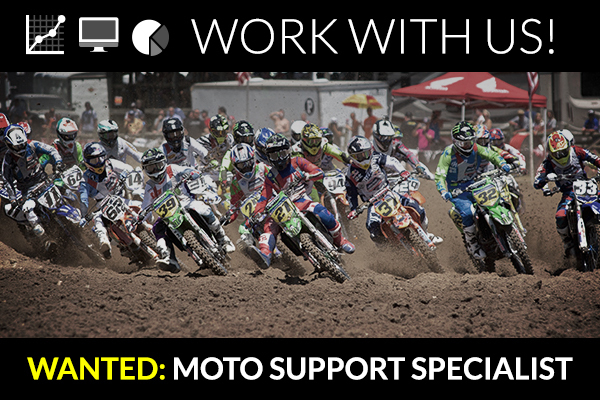 The Moto Support Specialist will work directly with the marketing, sales, and product teams. In addition, the Intern will have access to the executive team of the company for a full learning experience. Research and input upcoming events into the Hookit platform. Gather and analyze data from past events and enter into the Hookit database. Respond to member claims and concerns on Hookit Support Desk. Reply to sponsorship applications from athletes on behalf of brands. Learn and apply the Hookit platform to the company’s goals. Update content across the Hookit network. Other activities involved with Hookit’s overall business objectives. Must reside in the greater San Diego area. Please submit a resume, hours you are available each week and a write up on why you want this opportunity. Submissions without this info will not be reviewed.